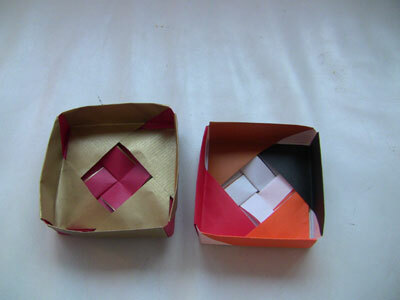 Here are origami modular square box photos that have been submitted by our readers. Check them out! 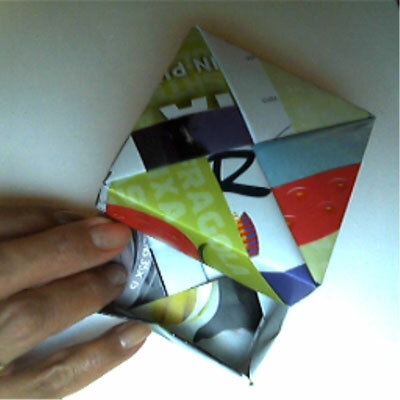 From Tracey in Philadelphia " I recently got into origami and found I really enjoy it! I work 12 hour shifts and it really helps me get through the day. I love this website! Very fun and helpful!! " Thanks Tracey! Glad our site can help you get through your day! 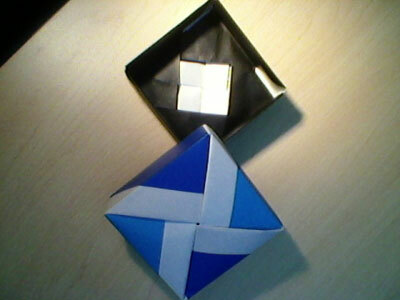 From Nicholas in White Plains " I made 2 square boxes. 1 multi-colored and 1 gold and red. The last tab was the hardest to put in. " 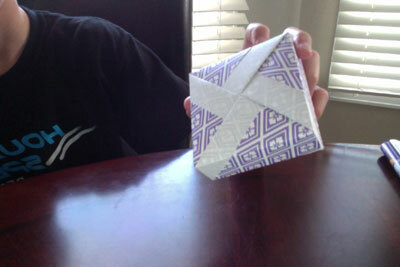 From Noah in Los Angeles "this was really hard it took me like half an hour." 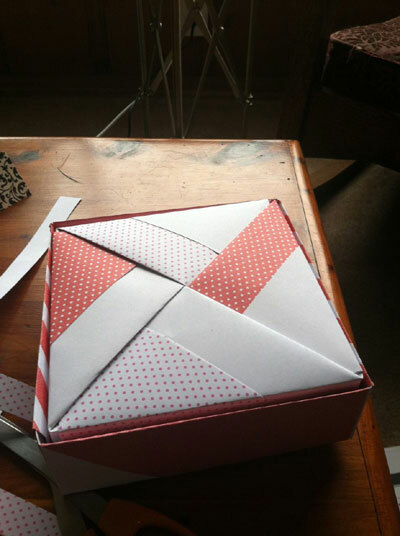 From Dixy in Mauritius " one of the prettiest thing i ever made... this website is awesome!! thanks!! " 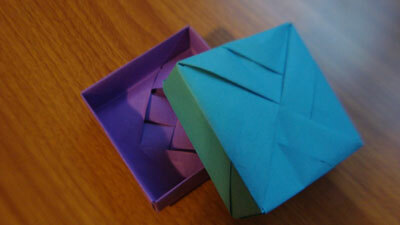 From Choryna in Bandung " this is my square box modular origami. 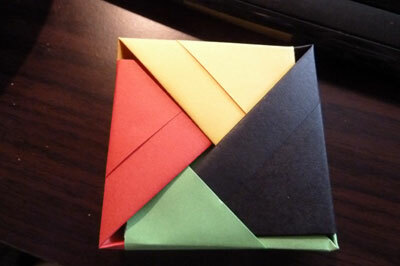 i love how they turned with these colorful folding paper...looks like a candy! 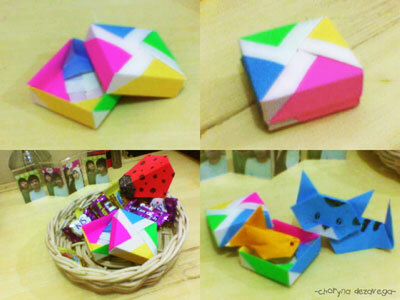 and there is my cat, ladybug, and goldfish origami too...i've made all your models of origami and i really love your site...thanks! " 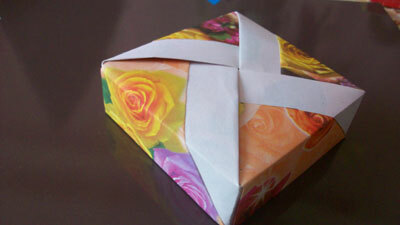 From Lizarts in Bergamo " Origami Box made with a magazine page "
From Alice in Waterford " This is the first origami box I made! It's great and easy, thank You. this site it great :3. 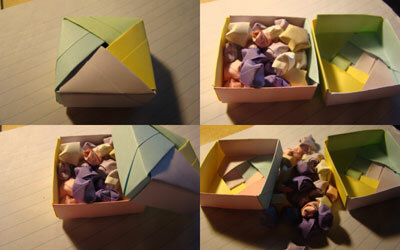 I filled it with my lucky stars, I'm gonna give a box to every friend and teacher of mine for christmas :D Thanks ! " From Grace in Renton " This is my modular box. it was a little hard to put together, but definitely worth it in the end! " 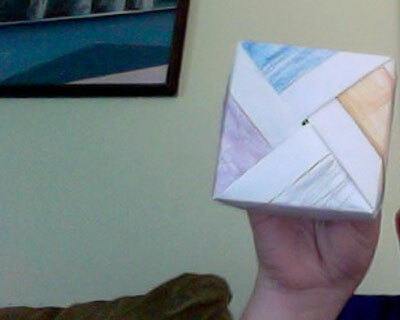 From Nichol in Nashville " modular box with lid for gift packaging "